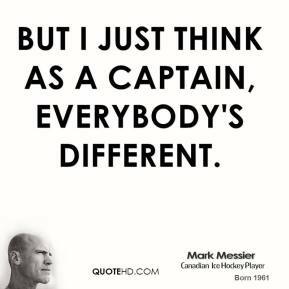 But I just think as a captain, everybody's different. 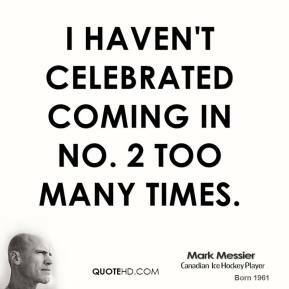 I haven't celebrated coming in No. 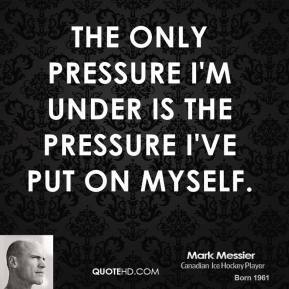 2 too many times. 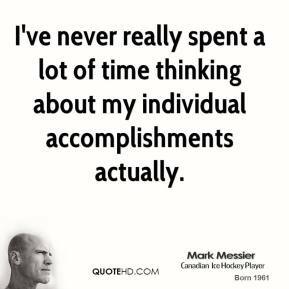 I've never really spent a lot of time thinking about my individual accomplishments actually. 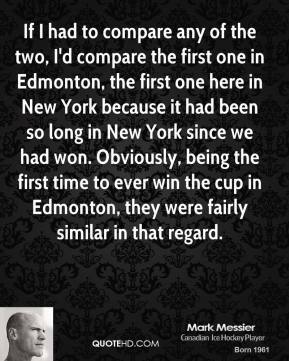 If I had to compare any of the two, I'd compare the first one in Edmonton, the first one here in New York because it had been so long in New York since we had won. 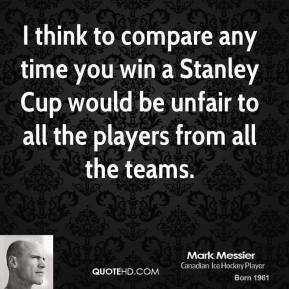 Obviously, being the first time to ever win the cup in Edmonton, they were fairly similar in that regard. 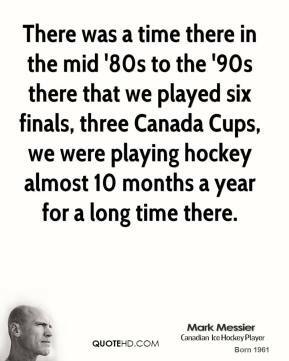 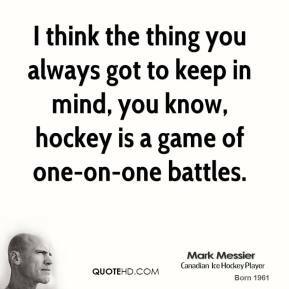 There was a time there in the mid '80s to the '90s there that we played six finals, three Canada Cups, we were playing hockey almost 10 months a year for a long time there. 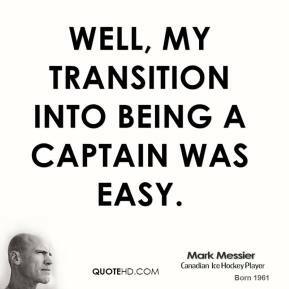 When Wayne was traded, I became captain. 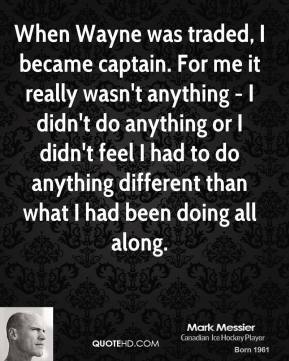 For me it really wasn't anything - I didn't do anything or I didn't feel I had to do anything different than what I had been doing all along. 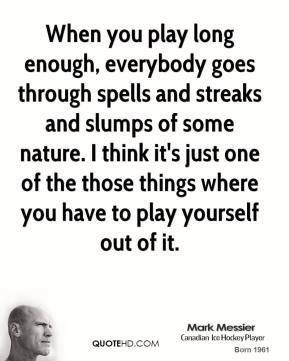 When you play long enough, everybody goes through spells and streaks and slumps of some nature. 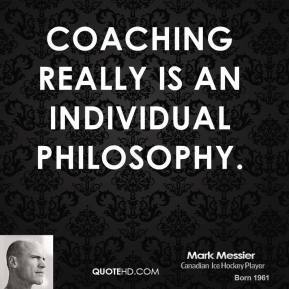 I think it's just one of the those things where you have to play yourself out of it. 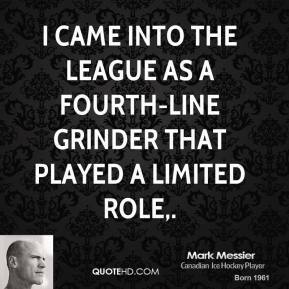 I came into the league as a fourth-line grinder that played a limited role. 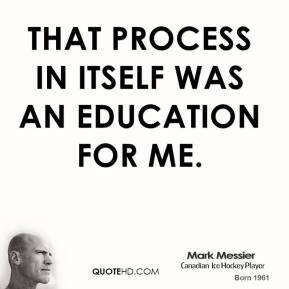 That process in itself was an education for me. 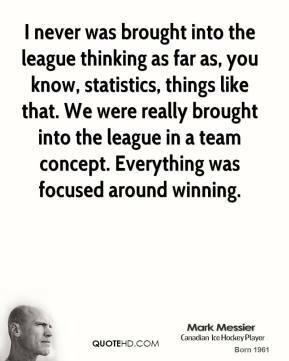 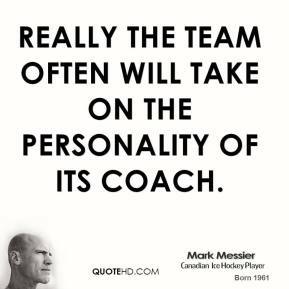 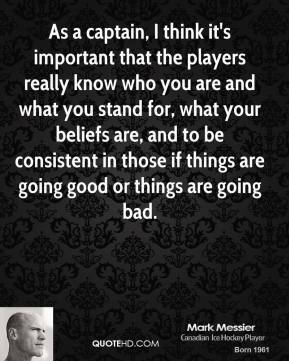 It's not easy winning or leading a team sport because there are so many different agendas and individuality, ... 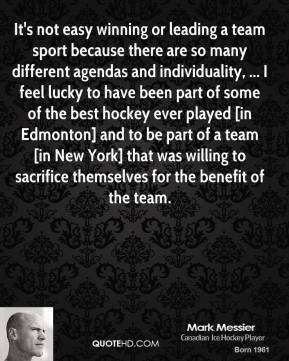 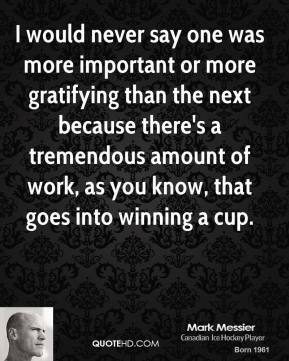 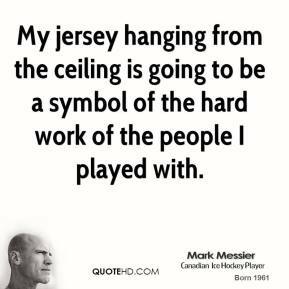 I feel lucky to have been part of some of the best hockey ever played [in Edmonton] and to be part of a team [in New York] that was willing to sacrifice themselves for the benefit of the team. 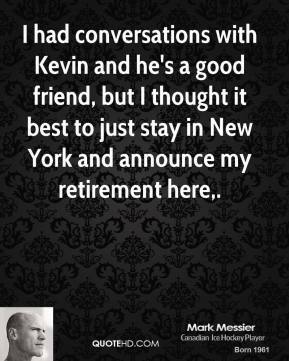 I had conversations with Kevin and he's a good friend, but I thought it best to just stay in New York and announce my retirement here. 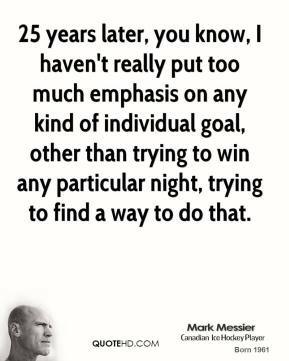 I'll go to my grave with the feelings and emotions and the memories of 1994, ... 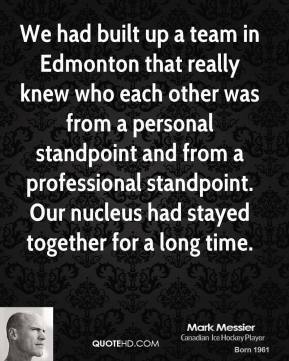 When I was traded from Edmonton, I told my agent that I wanted to go to New York to help them win a Stanley Cup. 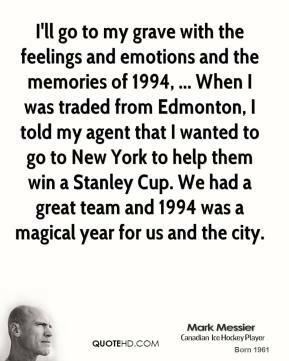 We had a great team and 1994 was a magical year for us and the city.